What is a Trades Union Council? Sort of a mini TUC - the TUC for your local area. Trades Union Councils bring together unions to work and campaign around issues affecting working people in their local workplaces and communities. We raise awareness of rights at work and the union role in inforcing those rights. We are actively involved in community affairs. 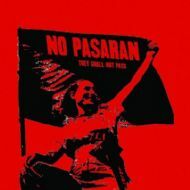 We oppose racism, the BNP and the EDL/SDL We hold regular educational events on important political and trades union issues. Say No to the Cuts! 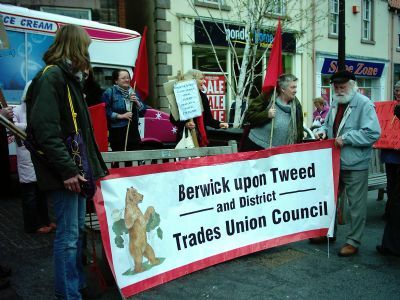 Note: Berwick & District Trades Union Council supports and works for local union branches. We do not work for or speak on behalf of the TUC.